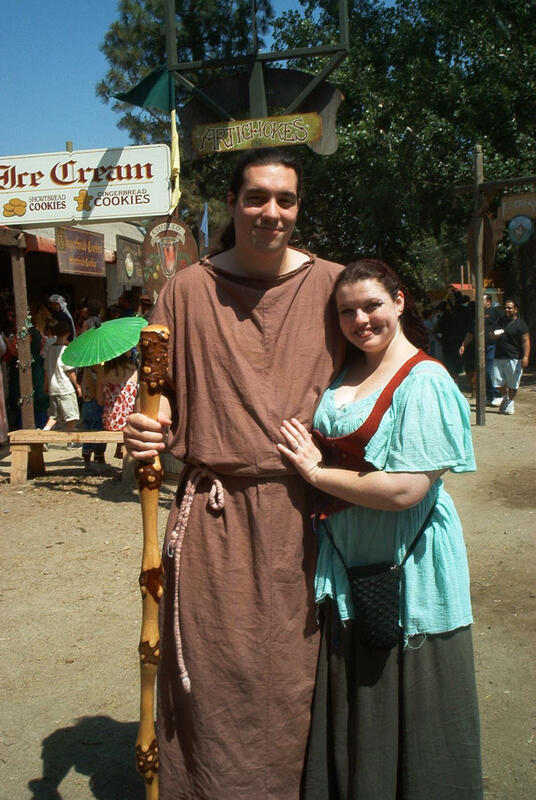 Saturday was my second ever trip to the Renisance Pleasure Faire. This time actually in costume. Vanessa helped me make my monk costume, and I went with her, and Jenna. We're also going next week. My dates, I'm a lucky guy! Possibly next year's costume for Jenna. 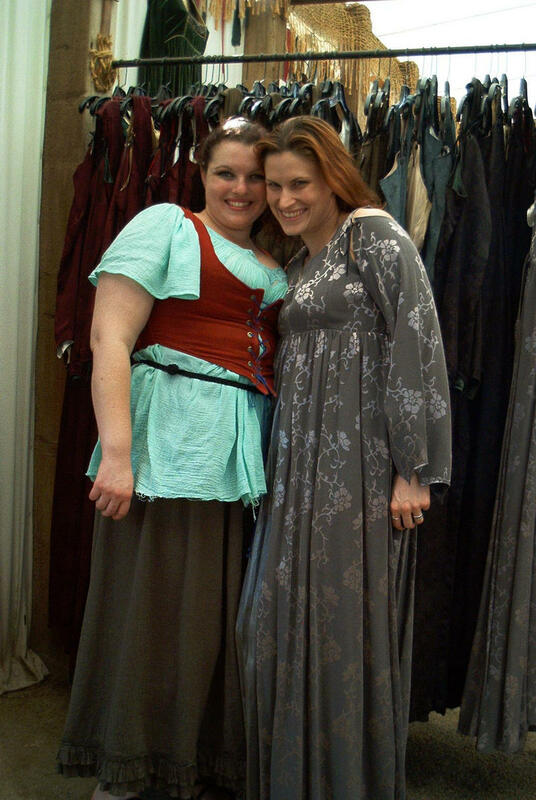 Regina (2002-06-12): Nice costumes! Since I read on your last posting that you name your computers - I told Michael that we need to come up with names for our four computers. We are thinking of a Star Trek theme - like Data, Q, Warf, Picard etc. What is Centrum? It makes me think of the brand of vitamins! Erik (2002-06-12): I like the Star Trek naming theme. Q is my favorite character of all time! Centrum is the name of my main server. In one of my favorite books, 'Iris', Centrum was a very very old and wise computer inteligence that roamed the universe, seeding planets with life. Griffin is my workstation, and my middle name. Dunno, I've just always called my workstations griffin. Michael (2002-06-17): Dude! Wearing a costume, having a woman's arms wrapped around you, and having a photo taken of it -- holy crap! 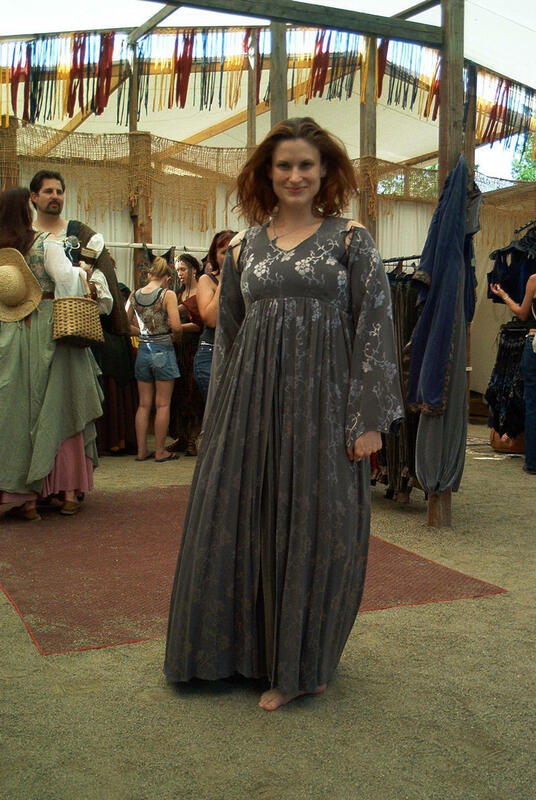 I hope the RenFaire was great -- wanted to go, but somehow managed to miss it. Playing with USB Printer Sharing on my network. Erik (2004-11-11): The fair is held in the summer at Glen Helen Pavilion, off of the 15 freeway, and many other places around the country. megan (2005-05-13): how much is admission ? Erik (2005-05-13): Megan, I'm not certain, but I think it's about $20 for a day. Erik (2005-08-17): For information, check out the web site at renfaire.com.